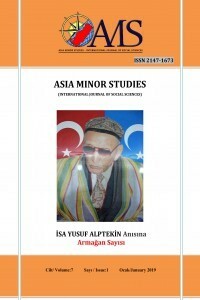 Asia Minor Studies Journal is a publication of the international peer-reviewed scientific body ,regardless of any institution that is not connected to the magazine . In January and July of each year , it is published in a journal at least twice a year. When it is needed, private numbers are published on a variety of topics,too. All scientific researches in the field of social sciences and Humanities are given place.